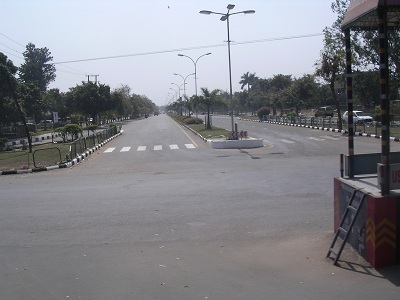 Chandigarh is the provincial capital of Punjab. It became symbolic of the newly independent Indian nation. Commencing work from 1951 until Le Corbusier’s death in 1965, he shaped the city and gave it its image. The design of the city is based on a grid-iron plan based on the hierarchy of movement from highways to pedestrian walkways. The metaphor of a human being was being employed in the plan – the ‘head’ contained the capital complex, the ‘heart’ the commercial centre, and the ‘arms’, which were perpendicular to the main axis, had the academic and leisure facilities. The plan incorporated Le Corbusier’s principles of light, space and greenery. He divided the city into different Sectors. Every sector had residential and commercial zones. He planned the city in such a way that even a tourist can easily find his own way. There are maps displayed along the walkways and footpaths. The roads are designed and oriented in such a way that most of the time during the day, they are under shadow. There are huge parking areas for the commercial zones so that the Parking problems don’t create a havoc on the main roads. The Parking lanes are as broad as the main roads. 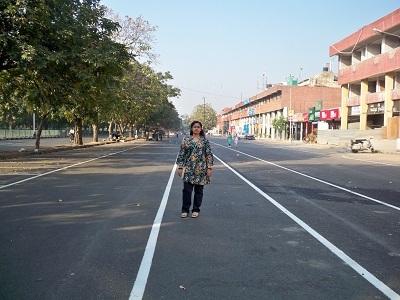 There are pedestrian walkway roads that are segregated from the main road with the help of a wide lawn strip. There are huge gardens along the main roads. Le Corbusier believed in creating harmony by using the Design principle of Symmetry. He designed clusters of bungalows together sharing a common playground for kids and they also had a garden of their own, apartments for middle class families where a couple of apartments could share a common garden or playground. The design of the residences is symmetrical. Residences in a cluster look similar from the exterior but they have different planning as per the user’s requirement. The advantage of emphasizing on symmetry makes the environment look balanced and organized. The Parliament or Assembly was designed as a large box with the entrance portico on one side, concrete piers on the other, and a repetitive pattern on the façade. Sculptural forms on the roof, a dramatic ‘funnel’ top light over the Assembly, and a tilted pyramid over the Senate chambers completed the composition. The hyperbolic shell is only 15cm thick, which helped in reducing the cost and the weight of structure. The Assembly chamber has a seating capacity for 252 persons. Additional galleries are provided for ladies, journalists, and officials. Acoustical treatment has been given to the Assembly Chamber to modulate and control the sound levels by providing sound absorbing panels in bright colours and random curvilinear shapes. 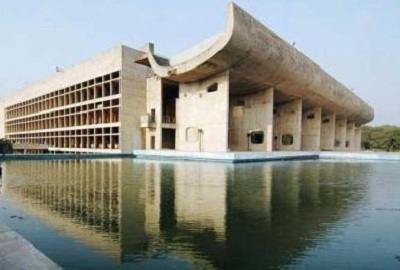 Le Corbusier designed various buildings in Chandigarh. He designed Play Parks and Gardens, recreations clubs etc. 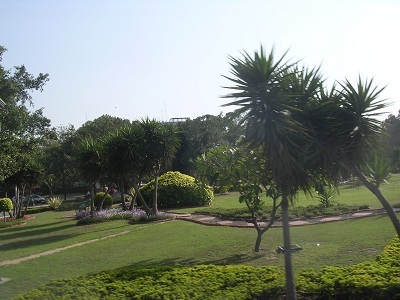 Chandigarh’s Rock Garden is a famous tourist attraction which was developed after the death of Le Corbusier. Later on, after his death, the development of Chandigarh was carried on as per his plan and today, Chandigarh is known as one of the best planned cities in the world. Le Corbusier is one of my favorite architects. He reminds me of the international Frank Llyod Wright. Wow, That is a very unique parliament buidling. I wonder if Tony Hawk has ever skated that roof? Le Corbusier was not really architect just someone who did architecture same Frank Llyod Wright. Le Corbusier wanted to be an artist not an architect. Le Corbusier was an artist, painter and writer… He was very creative and had great passion for Architecture… A person who is artistic can only be an Architect… U do not become an architect by getting a degree but you have gotto have a burning spirit and great passion for Architectural Creativity…! Modern Architecture may be better to the countries which don’t have strong cultural deli ma. 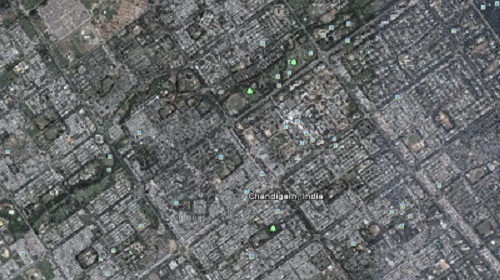 But design a city like Chandigarh is totally different than that It would be useful to the people. Le Corbusier, a well renowned architect of modern architecture is not just a architect but also a great creator … many famous architects were inspired by the same..